My graduation film from the Bristol School of Animation (2014). 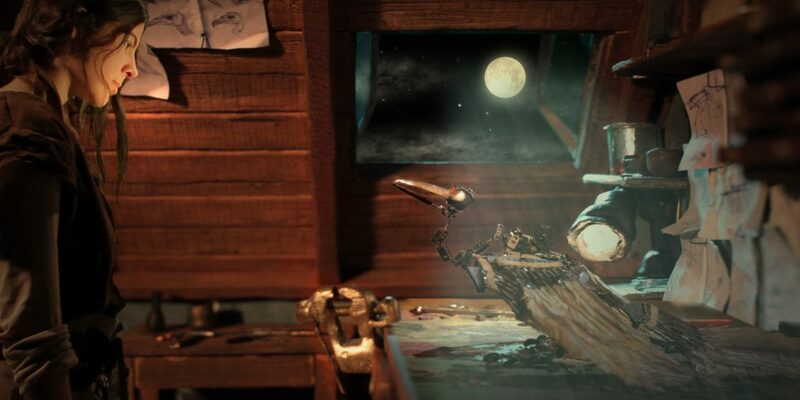 For my graduation film ‘Moonbird’ I combined stop motion animation with live action film, a miniature set as well as digital compositing and effects. I animated the ball and socket armature which I had built during my second year. 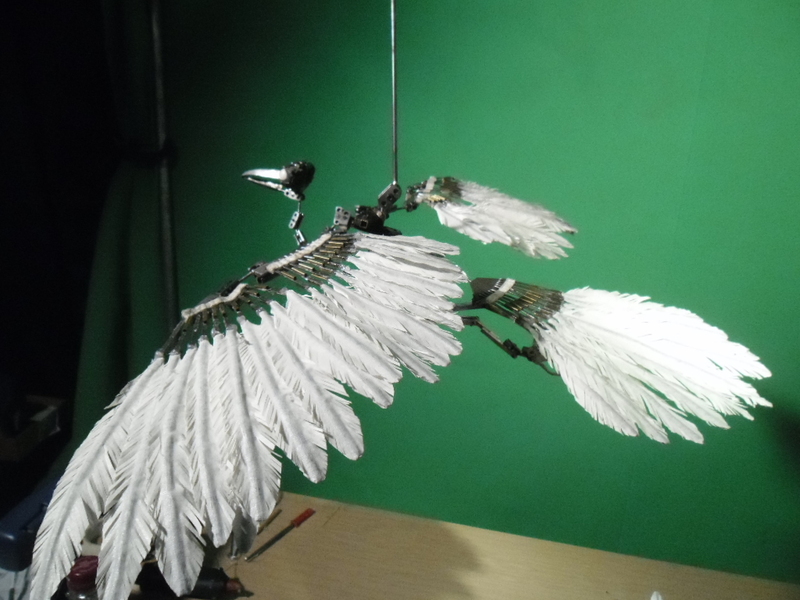 Find more about the fabrication process of the armature bird here. 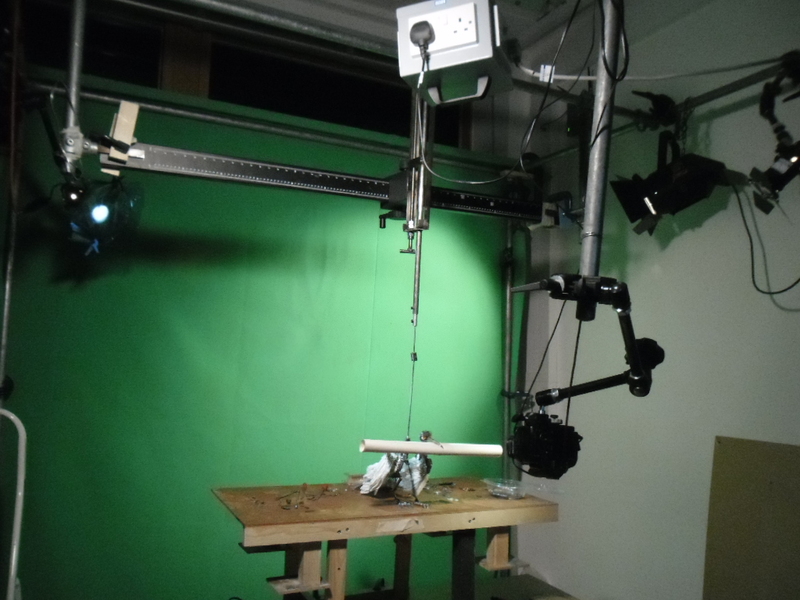 The shoot for the film consisted of three parts: shooting the set backgrounds (more on the construction of the miniature attic set here), shooting the animation with the bird and finally shooting the live action parts. It was a challenging process to combine everything and working out the best planning and order of things, all within the constrants of time and space available. 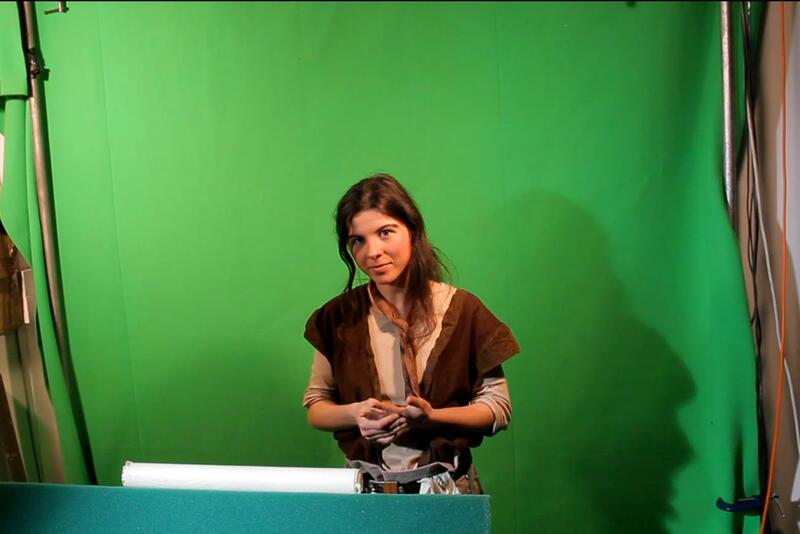 I shot everything in the same animation unit at the university. 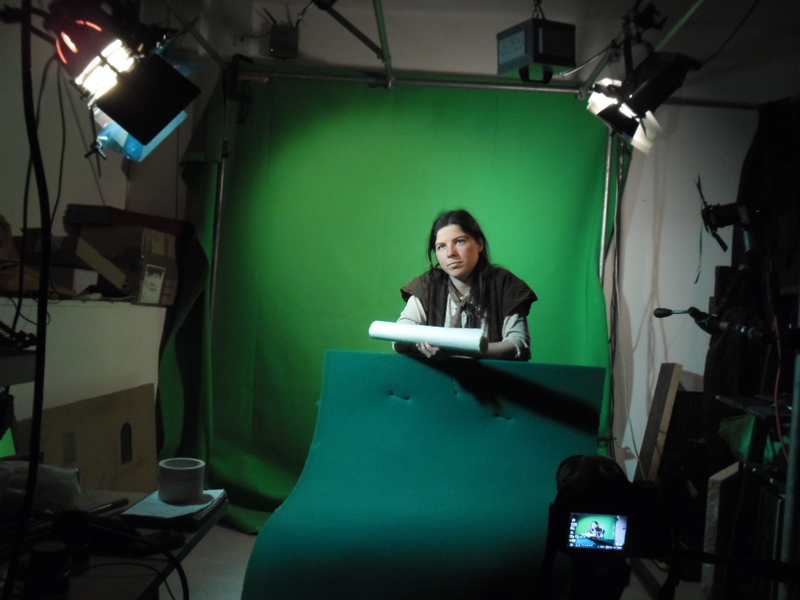 Animation and live action were shot against green screen, which I lined up with the miniature attic backrounds. There was a lot of fiddling around the get the angles of the desk surface and window frame lining up as well as getting the lighting to match. For the outside flying scenes I made use of 3d space and camera’s in After Effects in which I created digital clouds. 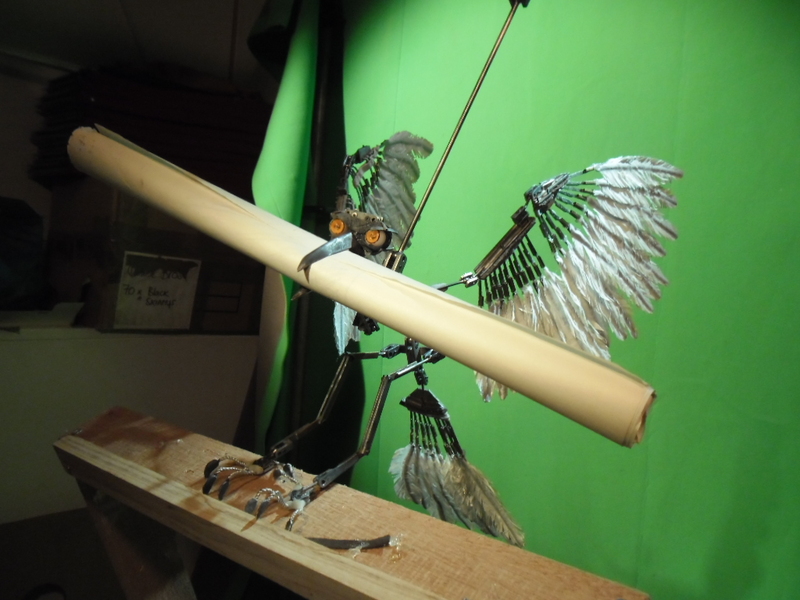 In the scenes where Moonbird is flying through space, he is animated on one spot, as I was limited on space to get the camera far enough back while keeping space to light the green screen. I would then later shrink down and move the bird through the shot in After Effects. See the image gallery below for a few behind the scenes pictures from during production. Moonbird on set. I constructed the vertical part of the rig and used part of an old copy stand for the horizontal movements. Me during live action shoots (camera by Thomas Barth). 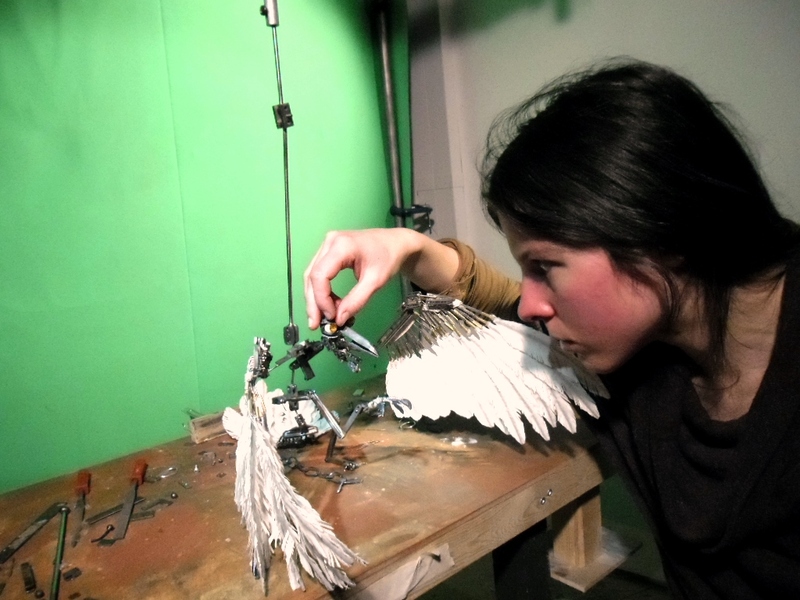 Moonbird on set, on 'window frame', later combined with miniature set window. Me during live action shoot (camera by Thomas Barth). 'Leaning out of the window', later composited into miniature set. Moonbird on set with new feathers. 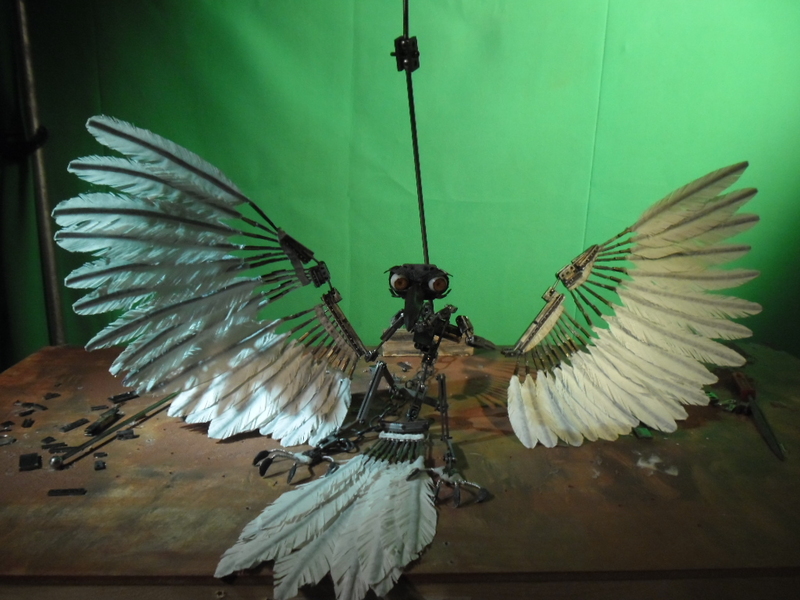 Moonbird on set, with flying rig.